These General Terms and Conditions of Use are part of the contract and binding for Olde Worlde Embroidery and each customer ("you"), who downloads a file from the Olde Worlde Embroidery website. You acknowledge and accept that you are bound by the terms of this agreement and that this agreement applies to each file ("work") that is downloaded from this website. All embroidery designs and projects on this site are copyright protected by International Copyright Laws. The original designs and documentation remain property of Olde Worlde Embroidery and may not be copied, given away, shared or resold. ‣ You may use the machine embroidery designs purchased from Olde Worlde Embroidery for your own personal embroidery. ‣ You may use the machine embroidery designs purchased from Olde Worlde Embroidery to embroider on items that you give away or sell, as long as you do not mass-produce (limited commercial licence / "Fair Use"). 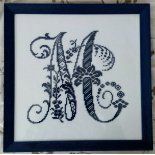 ‣ You may not resell or give away ("share"), or reproduce (except for your own personal backup copies), or edit (except for resizing, changing colours or splitting to fit your hoop) machine embroidery designs purchased from Olde Worlde Embroidery, in electronic format by any means, nor use them in lessons or classes. Olde Worlde Embroidery﻿ will not be held liable for any damages or losses incurred in the use of our embroidery designs. The minimum order amount is € 4.00. Payment is made via PayPal: Depending on country-specific PayPal services, you can choose between using your PayPal balance, credit card, direct debit, Giropay etc. In addition, customers with an Austrian address and Austrian bank account have the option to pay by bank transfer. ﻿The local currency (clearing currency) of Olde Worlde Embroidery is Euros. Prices given in US Dollars and British Pound (reference currencies) are conversions based on currency rates published by a webservice on regular basis, and are for your general information﻿ only. Due to the nature of embroidery design files, we do not offer refunds or exchanges once an order has been processed. If a file becomes corrupt in the transfer, it will be replaced with the same design file. The embroidery design files are for use with embroidery machines only and do not contain charted patterns for hand embroidery. It is your responsibility to select the embroidery designs based on the size information given with each product, to fit your embroidery machine or the embroidery hoops available to you. A corresponding mistake does not entitle to return or exchange, a refund of the purchase price is excluded. In accordance with § 5f (1) KSchG (Austrian Federal Act Governing Provisions to Protect Consumers, in accordance with EU regulations), there is no entitlement to rescind the contract as it is expressly agreed that the rendering of the service to the consumer (providing the files for download) will commence immediately, in any case within seven working days upon entering into the contract as agreed. The information that you have provided when signing up to Olde Worlde Embroidery will not, under any circumstances, be revealed or given to any third party without your permission, except in the case of legal process. 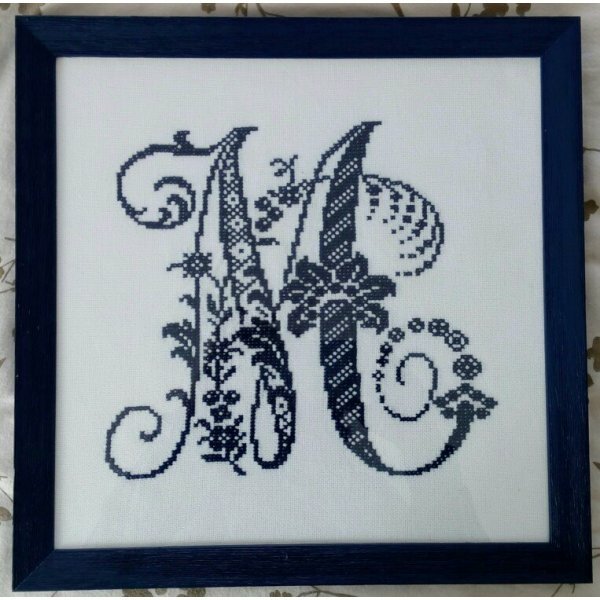 You agree that your personal information (full name, address, in case of Birthday Club membership also date of birth, and email address) will be used by Olde Worlde Embroidery to answer your enquiries, to process your orders, to provide access to and overview of your previous orders and other specific information, and to send you further information if necessary. You can update your personal information anytime - to do so please go to "My Account". You may at any time request a shutdown or deletion of your account or partial deletion of data. Simply send us a message by email or via our contact form. Payments are processed via the Paypal gateway, and so we do not have access to your credit card information.